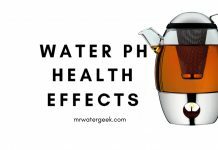 Home Water Filters Are Coffee Machine Water Filters WORTH IT? 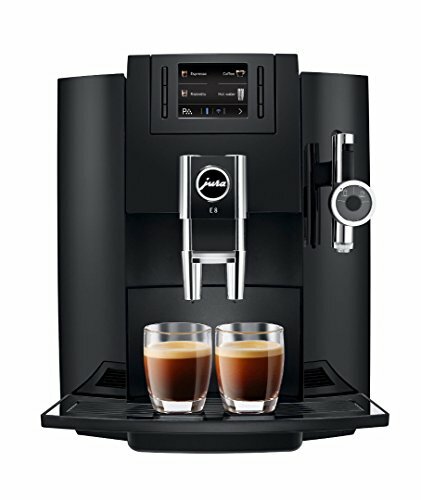 Coffee machine water filters is a great idea for a person that loves coffee and wants to use the best quality water to make sure it tastes great. This makes sense because besides the type of coffee you use, water is the most important element in a cup of coffee. The mineral content and the pH of the water used can have drastic effects on the final product. 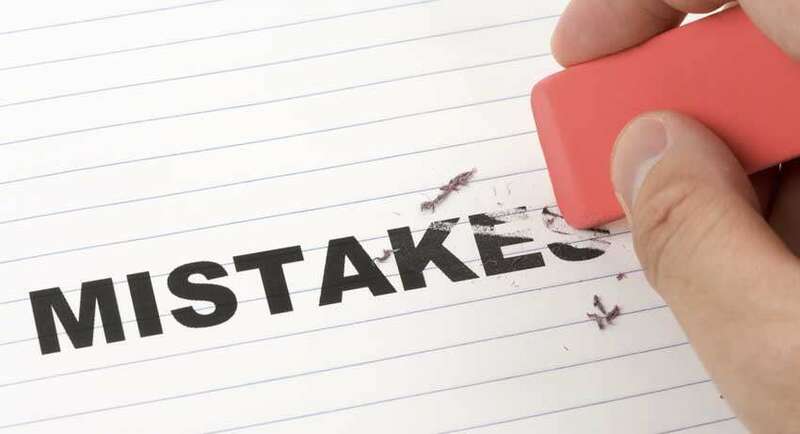 Using the wrong water can ruin a nice coffee, and no one wants that. 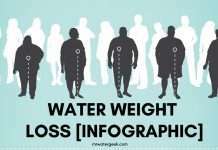 Basically, the chemistry of water is not a big problem. The wisdom of traditional coffee is that if your water tastes good to drink, it tastes good for coffee. To some extent this is true. 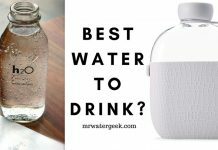 Here are some basic principles of getting the best water for your coffee and how to get the best coffee machine water filters. 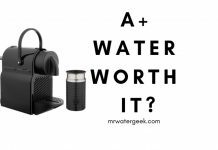 The Best Water Filter For Coffee? 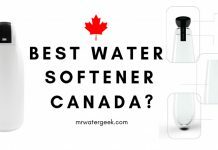 Is Soft or Hard Water Best For Coffee? 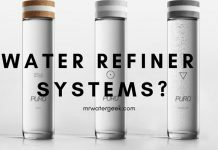 Using Reverse Osmosis Water For Coffee? Use Bottled Water For Coffee? My Coffee Machine Already Has a Filter, Right? If you are not satisfied with the caliber of water in your home, the first option is to filter it. The SCAA water treatment guidelines state that the water must be clean, odorless, clear and chlorine free. 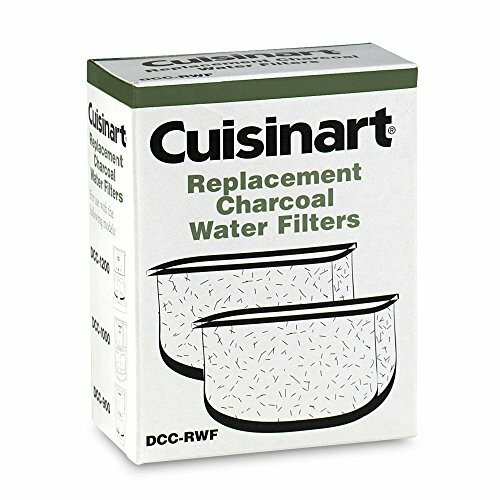 Water filters like Brita use activated charcoal to remove some impurities from water, odors and, if present, chlorine or chloramine. 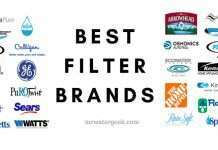 These types of filters are inexpensive and readily available. But I have found that they have a disturbing limited capacity, the use of which is inconvenient and requires constant filter change. 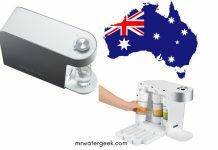 You can use a Berkey water filtration system for the total water consumption in your household. 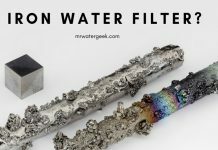 It is a very impressive filter that is powerful enough to even filter out fluoride, which most filters can not do. 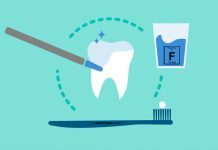 The only other filters that can remove fluoride are filtering methods like reverse osmosis, however, you will probably need to install it directly into your plumbing. This makes it cost much more as you’ll need a professional plumber to do this for you. 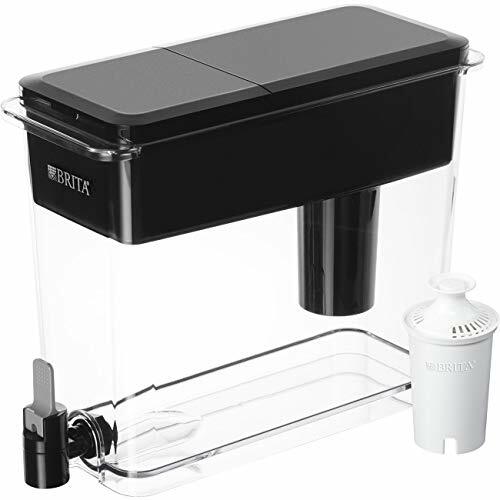 The Big Berkey on the other hand simply sits on your counter top and starts working the second you pour water into it. 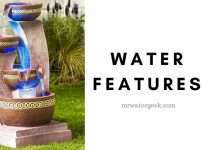 It can hold several gallons of water, very easy to set up, use and has very long lasting filters. 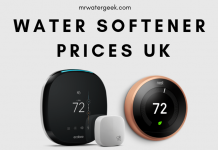 You should not really drink soft water as it’s better for keeping your appliances lasting longer and stops limescale appearing in your water. Hard water does not taste good. 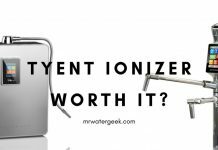 If you drink tap water that is hard, then you can expect a slightly pungent metallic taste. The best thing is to drink delicious crunchy purified water by using a high quality water filter. 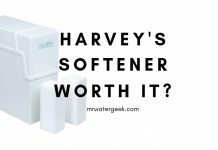 There seems to be a debate on the subject, but I think the use of hard water is a better cup of coffee than soft water with a home-made water softener. 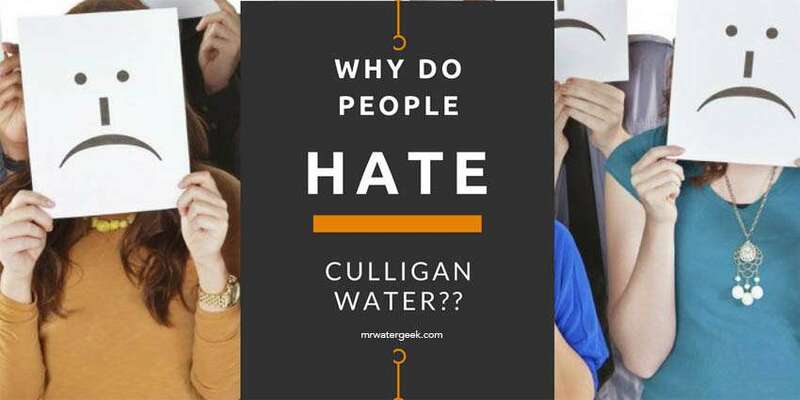 Water hardness is a measure of the amount of magnesium and calcium that dissolves in water. 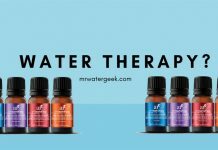 Water that is rich in these two minerals (especially magnesium) is not great for making the most of coffee flavorings. Replacing these minerals with sodium (i.e. creating soft water) results in coffee that is flat in comparison. Very hard water can destroy an espresso machine with flakes and is therefore a major concern of the pressure coffee set. It also has some impact on the equipment of a manual coffee brewer. A recommended resource for analyzing water hardness, water hardness testing. 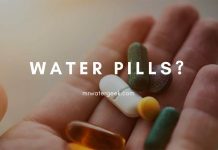 In fact, it is almost impossible to make coffee with water that is too hard, since raising it to 95 ° C will lower the hardness from over 90 mg / l to 100 mg / l as a scale. 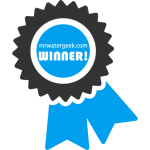 If you have a water softener at home you’ll know that it’s not best for drinking. However, it’s best to decide for yourself. Try using both types of water (soft and hard water) and make a comparison test between both to see what I’m talking about. Reverse osmosis (RO) is a process in which all minerals are extracted from water. What remains is water that contains next to nothing. It seems that reverse osmosis is ideal for making coffee, but it’s not. When processing with pure reverse osmosis water (unlike coffee made from soft water) a flat cup of coffee is produced. While reverse osmosis lacks all magnesium and calcium minerals that enhance the taste of coffee. However, there are reverse osmosis systems that mix in mineral-rich water. 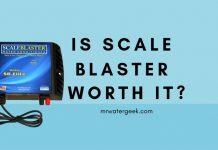 Some of these systems can adjust the total dissolved solids content in your water. 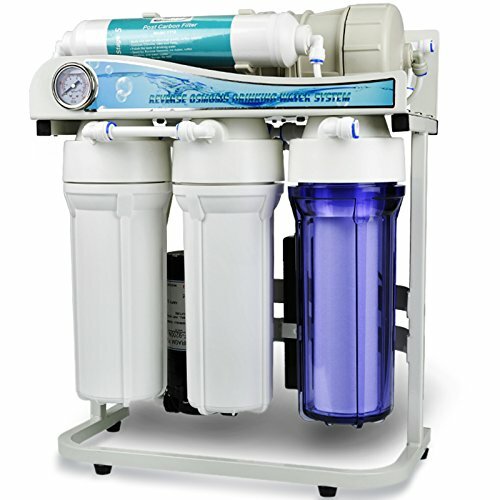 A reverse osmosis water mix is ​​a viable option for obtaining highly purified water. The SCAA recommends a total of 150 mg / L dissolved solids. 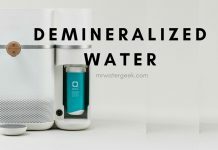 If you do not have a reverse osmosis system with mixing features (also called “re-mineralisation”), you can mix the water yourself. 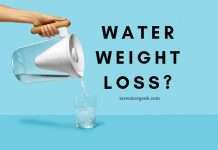 Try different amounts of RO water for tap water and see if it improves the taste of your coffee (20 to 25% tap water is a good start). 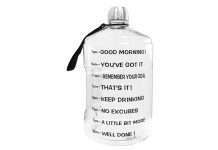 Maybe but it depends on the quality of the bottled water. And I’m just going to ignore the fact that buying bottled water to fill your coffee maker is very expensive and wasteful. 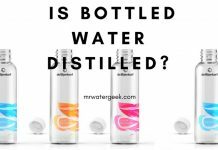 Using bottled water is a problem because not all bottled waters are the same. In fact they can vary enormously in terms of mineral content, pH and coffee suitability. 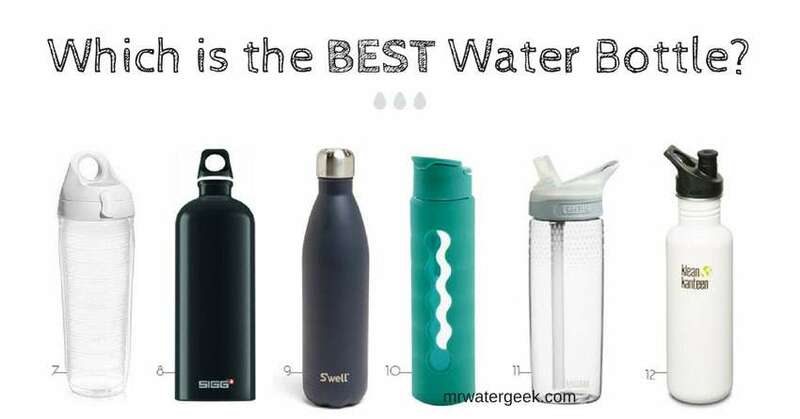 (Read: 8 Best Bottled Water and Why They are ALL Bad for You). Bottled water usually comes in two types. 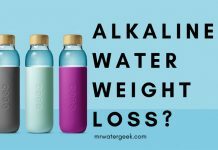 Alkaline with massive minerals below brackish water and acid with minerals above the RO level. Very few have medium hardness in most municipal waters. 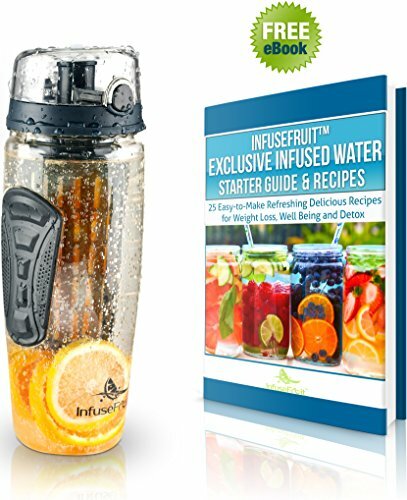 If you really must use bottle water then the best options for bottled water are mineral or spring water. 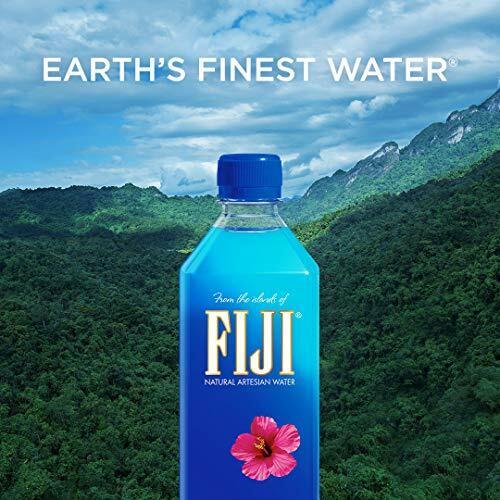 For instance, Fuji water or Volvic. Yes, only if you have a high end coffee machine. 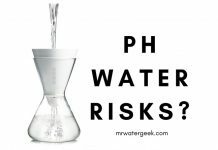 But you should still filter your water and here’s why. High-end coffee makers have built-in filters that contain both carbon and organic compounds that eliminate both taste and impurities. However, pouring purified water into your coffee maker will reduce the amount of work that your machine has to do. This will increase the lifespan of your expensive coffee filter machine water filter. And it will make the water that your coffee machine filter taste even better. 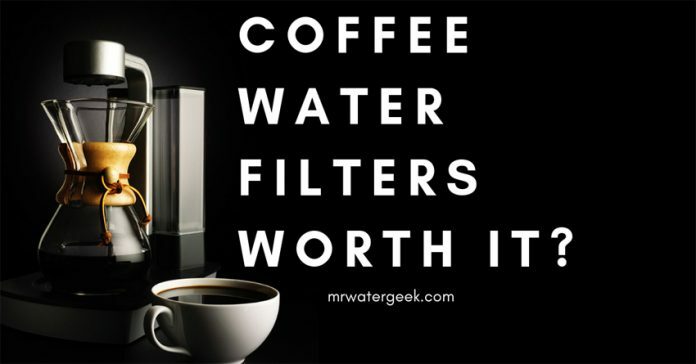 Finally, just because the coffee machine has it’s own filter doesn’t mean that it will be powerful enough to deal with your water. The installed filters in a coffee machine are usually very basic. These coffee machine water filters are good at removing chlorine, odors, calcium and other impurities from your water. This enables you to fully enjoy the delicious taste and aroma of your brewed coffee. Compatible with almost all Cuisinart coffee machines as it’s designed specifically for Cuisinart coffee makers. This set of carbon filter replacement also extends the life of your machine. that’s at least 1-7 / 8 “x 3/4” x 1. Replace every 30 days or more if you have hard water for better results. 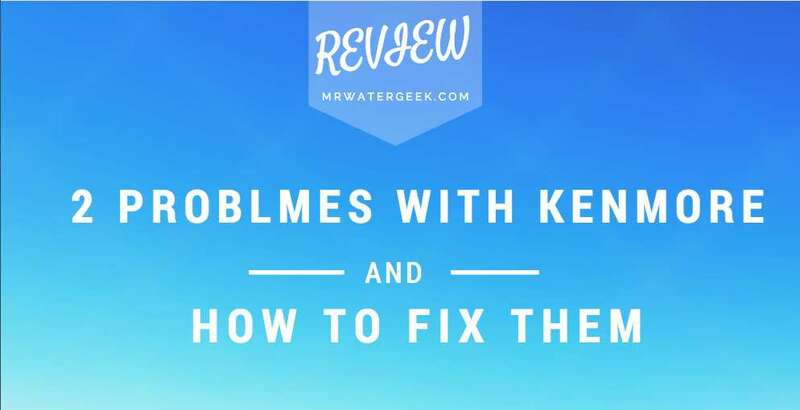 The good news is that most basic water issues have quick fixes and simple solutions. 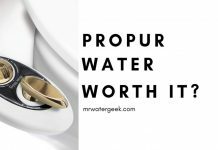 If you already like the coffee you prepare at home then you just have to deal with the quality of your water to make things better If you can not understand why your coffee doesn’t taste as nice as it should, then the water may be worth investigating. 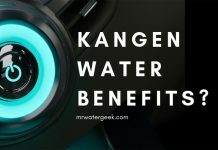 This article really only scratches the surface of the water chemistry and getting the best quality coffee machine water filters. Still don’t know what to do? Ask your barista. If there is a particular coffee shop that prepares coffee that you admire and you can not repeat the experience at home, ask the cafeteria if they use a water filter. If they don’t then you should ask them what brand of coffee machine they use. 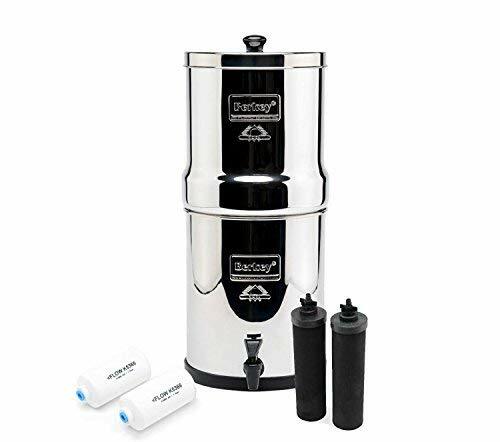 Otherwise, I highly recommend using a high quality water filter system like the Big Berkey, which produces the best quality water you can use. 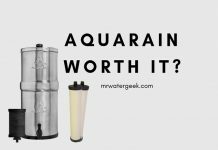 Previous articleIs Aquasana Rhino EQ-1000 A RIP OFF? 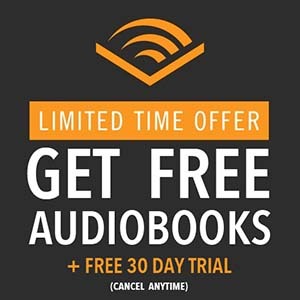 Must Read Before You Buy.